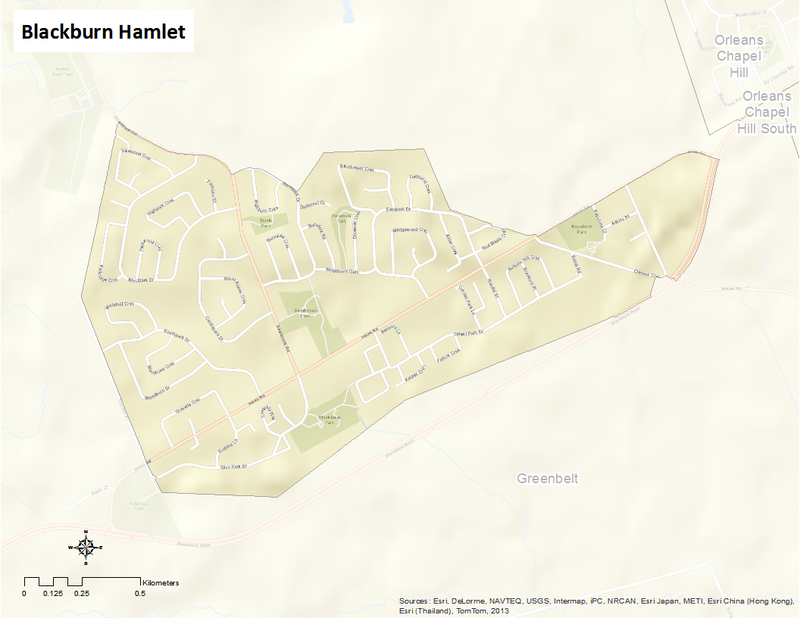 Blackburn Hamlet is bounded by the Greenbelt to the north, Blackburn Bypass to the south, Clairoux Crescent to the east, and Tauvette Street to the west. This neighbourhood was named after Robert Blackburn, who was a Member of Parliament for Russell in 1858. In 1956, the area surrounding Blackburn Hamlet was acquired by the National Capital Commission and used to establish the Greenbelt. The addition of this vast greenspace near its borders resulted in the re-development of this neighbourhood into its current form. Here’s an infographic that describes Blackburn Hamlet as a Village of 100 (2011 data).